Dr. Lisa Borland contributes 15 years of experience as an econophysicist working in quantitative hedge funds to the UC Davis Physics Advisory Board. She is the Director of Research at Cerebellum Capital, Inc., a San Francisco based hedge fund, and is a Lecturer at Stanford University in the Department of Management Sciences and Engineering, teaching classes that utilize the principles of physics and finance to develop quantitative trading strategies. Formerly, Dr. Borland was Head of Research and Co-Portfolio Manager at T2AM, responsible for research and manager due diligence. Prior to that, she was Director of Derivatives Research at Evnine & Associates, Inc., where she developed equity and options trading strategies. Dr. Borland is the author of numerous papers within the fields of quantitative finance and econophysics, and often invited to speak at academic and practitioner conferences. Her work has focused largely on developing realistic models of volatility and correlations in the presence of fat tails and long range memory. In particular, she developed a theory of non-Gaussian options pricing. 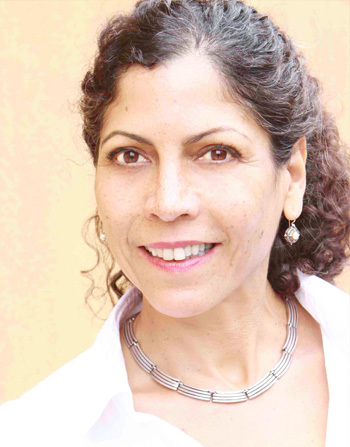 Dr. Borland completed her Ph.D. in theoretical physics at the University of Stuttgart, Germany, completed post-doctoral studies at UC Berkeley, and spent two years conducting academic research at the Center of Physics Research in Rio de Janeiro, Brazil. Dave Cone | Founder of Camstar Systems, Inc.
Dr. James David “Dave” Cone offers a unique perspective to the UC Davis Physics Advisory Board as a nontraditional alumnus of UC Davis with a passion for physics. 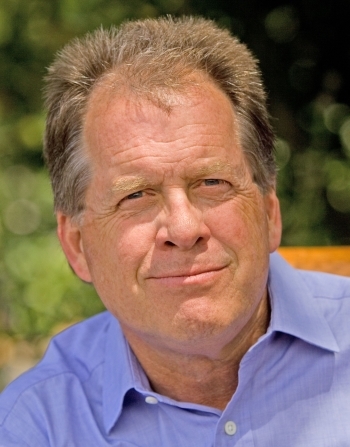 Dr. Cone began his career at IBM in Palo Alto before starting his own software company, Camstar Systems Inc. in 1984. Today, Camstar Systems, Inc. is a leading international software manufacturer with over 250 employees and annual revenue exceeding $25 million. 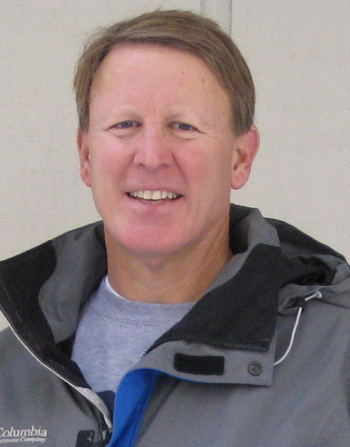 In 2007, Dr. Cone left Camstar System, Inc. to pursue his passion for physics at UC Davis. He completed his Ph.D. in condense matter theory in 2013 and has since taught computational biological physics in the UC Davis Cosmos program for advanced high school students. Dr. Cone received a B.S. in mathematics from the University of North Carolina, Chapel Hill, where he was a Morehead Scholar. He holds an M.S. in Operations Research from Stanford University, an M.B.A. from UC Berkeley, and a Ph.D. in physics from UC Davis. Professor Timothy Ferris contributes his breadth of knowledge and creativity to the UC Davis Physics Advisory Board. He has been referred to as "the best popular science writer in the English language" by The Christian Science Monitor and "the best science writer of his generation" by The Washington Post. He is the author of twelve books, including The Science of Liberty and the bestsellers The Whole Shebang and Coming of Age in the Milky Way, which were named by The New York Times as among the leading books published in the twentieth century. Professor Ferris produced the Voyager Golden Record, an artifact of human civilization containing music, sounds of Earth and encoded photographs launched aboard the Voyager 1 spacecraft in 1977. He has served as a consultant to NASA on long-term space exploration policy, and was among the journalists selected as candidates to fly aboard the Space Shuttle in 1986. Professor Ferris has taught in five disciplines--astronomy, English, history, journalism, and philosophy-at four universities. 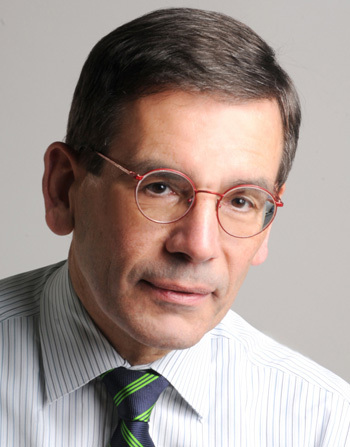 He is currently Professor Emeritus with the UC Berkeley Graduate School of Journalism. He is a Guggenheim Fellow and a Fellow of the American Association for the Advancement of Science. Professor Ferris received a B.A. in English and communications from Northwestern University. 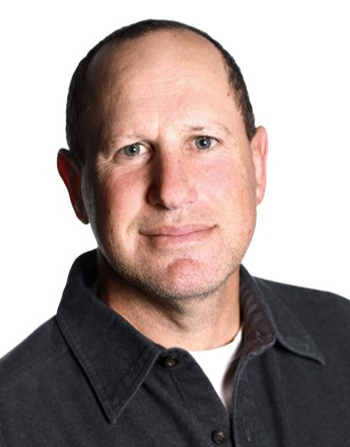 Steve Guggenheimer brings vast professional knowledge as the corporate vice president of Microsoft's AI Business to the UC Davis Physics Advisory Board. In this position with Microsoft, Mr. Guggenheimer is responsible for working with customers and partners on their adoption of Artificial Intelligence while also helping independent software vendors partner with Microsoft on developing a new generation of Line of Business software as a service offerings based on Microsoft's Dynamics, Office and Azure cloud platforms. Since joining Microsoft in 1993 as a product manager in the Windows for Workgroups organization, Mr. Guggenheimer has worked on and managed a variety of Microsoft product initiatives, including Windows 95 and Windows 98; Microsoft Internet Explorer 2.0, 3.0 and 4.0; WebTV; MSN; Microsoft SQL Server; Visual Studio; and BizTalk Server. He has held several leadership positions in this time, including leading the Developer and Platform Evangelism group as Corporate Vice President of Microsoft's DX organization and leading Microsoft's Original Equipment Manufacturer (OEM) Division as the Corporate Vice President of the OEM Business. Prior to joining Microsoft, Mr. Guggenheimer held a position with Spectra-Physics Inc., where he worked with lasers and helped develop and market new products. He received a B.S. in applied physics from the UC Davis and an M.S. in engineering management from Stanford University. He also serves on the board of Muzik and with his wife leads the Guggenheimer Family Foundation. Dr. Richard Swanson brings years of academic and applied experience as an electrical engineer to the UC Davis Physics Advisory Board. As a member of the electrical engineering faculty at Stanford University for nearly 20 years, Dr. Swanson performed groundbreaking research on the semiconductor properties of silicon, which have helped pave the way for steady improvement in silicon solar cell performance. In 1991, Dr. Swanson resigned from Stanford and devoted his full attention to SunPower Corporation, which produces the highest performance photovoltaic panels available, and has become the world’s third largest by market capitalization manufacturer and installer of photovoltaic systems. Dr. Swanson has received widespread recognition for his work, including these recent awards: the 2009 Economist Magazine Energy Innovator Award, the 2010 Institute of Electrical and Electronics Engineers Jin-ichi Nishizawa Medal for the conception and commercialization of high-efficiency point-contact solar cell technology, and the 2011 Karl Boer Solar Energy Medal of Merit Award. Dr. Swanson is currently retired from SunPower and serves as Chairman of the Bay Area Photovoltaic Consortium Executive Board. Dr. Swanson received his B.S.E.E. and M.S.E.E. from Ohio State University and his Ph.D. from Stanford University. Dr. Karl van Bibber offers his knowledge as an awarded physicist with many years of experience working with prominent laboratories, universities and governmental agencies to the UC Davis Physics Advisory Board. In 1985, after serving on the Stanford University faculty, he joined Lawrence Livermore National Laboratory (LLNL) where he founded and led the High Energy Physics and Accelerator Technology Group. Dr. van Bibber has held many positions with LLNL, including Chief Scientist for the Physics and Space Technology Directorate, and Deputy Director of the Laboratory Science and Technology Office. In 2012 he joined the faculty of UC Berkeley as Professor of Nuclear Engineering, and acceded to Department Chair, serving also as Executive Director of the Nuclear Science and Security Consortium. Dr. van Bibber currently serves as Associate Dean for Research in the College of Engineering at UC Berkeley. Dr. van Bibber is the recipient of many honors and awards, including the Alfred P. Sloan Research Fellowship, the Department of Energy Deputy Secretary Award, and the Navy Superior Civilian Service Award for the establishment of degree and executive education programs in Energy, the first within the Department of Defense. He received his B.S. and Ph.D. from the Massachusetts Institute of Technology in experimental nuclear physics. 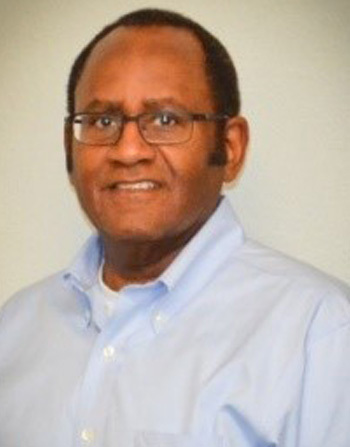 A nuclear trained submariner, Admiral Melvin Williams Jr. brings 32 years of experience as a commissioned officer in the United States Navy to the UC Davis Physics Advisory Board. Since his retirement in 2010, Admiral Williams served for three years as the Associate Provost for Military and Veterans Affairs at the George Washington University. Prior to this appointment, he served two years as the Associate Deputy Secretary of Energy, the presidential appointee responsible for the day-to-day management and operational excellence at the United States Department of Energy. Admiral Williams has received various awards of recognition, including the 2015 University Award at George Washington University, the United States Department of Energy Outstanding Service award, the Black Engineer of the Year award for Professional Achievement as well as induction into the STEM Hall of Fame in 2011, the National Society of Black Engineers Award for Lifetime Achievement in Government, and the Thurgood Marshall Award for Service and Leadership. Admiral Williams graduated with merit from the United States Naval Academy with a B.S. in mathematics. He holds an M.S. in engineering from the Catholic University of America, and attended Harvard University’s JFK School of Government.